When it comes to what they’re buying, apparel consumers are often looking for answers about how something fits, how well it wears, and whether it’s true to size—among a long list of other things—and retailers and clothing makers know this. 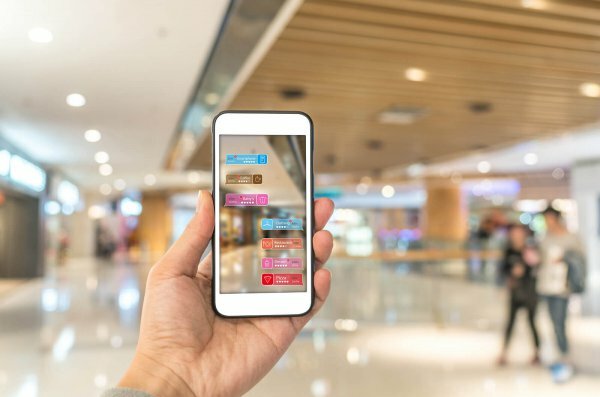 In an effort to more closely connect with shoppers, they’re mining every available opportunity to learn more about the consumer and, in turn, share brand and product information so people can make more informed decisions. The digital component of retail means stores and brands have a wide variety of ways to reach their customers. Harvard Business Review identified different tactics brands can use to achieve effective digital strategies. For example, it advises that brands bring people together to share experiences, thereby deepening engagement. As an example, it points to Burberry’s microsites, which allow customers to share photos of themselves in the brand’s coats, and the fact that Burberry also does things like stream exclusive fashion shows for younger users of its mobile app. Relaying pertinent information to consumers can make a difference in whether they actually purchase an item. Consider that more than three in four shoppers (76 percent) say having the ability to view a product up-close would be very or somewhat influential on their ultimate decision to purchase an item of clothing online, according to the Cotton Incorporated Lifestyle Monitor Survey. That’s followed by wanting more information about such things as detailed sizing (73 percent), fit (72 percent) and color (69 percent). At another Decoded Fashion presentation, Stylus’ Saisangeeth Daswani, head adviser for fashion, beauty and APAC (Asia-Pacific) at the innovation, research and trends advisory firm, said consumers are increasingly hungry for the thrill and satisfaction of communicating with brands on a more direct and intimate level. Daswani went on to explain how a new unboxing app exemplifies how the simple act of unpacking products can be a powerful way to give consumers more product information. More than half of all consumers (56 percent) say they’re less loyal to apparel brands and retailers than they were a few years ago, according to Monitor data. However, 57 percent say they would be more loyal if stores and brands took the time to educate them on their apparel products. Apparel makers should note that 63 percent of consumers say they would feel more connected to an apparel brand that offers clothes made of natural fiber like cotton, according to Monitor data. Brands can easily impart that their clothes are made from cotton by including the Seal of Cotton trademark on their apparel. Introduced 45 years ago, the Seal is recognized by 86 percent of consumers, more than double the awareness for the logos of Lycra (42 percent) and Dri-Fit (35 percent) and triple the awareness of the Woolmark (26 percent) and CoolMax (21 percent) logos, according to Cotton Incorporated’s Seal of Cotton Study and Monitor data. Of course, no marketing discussion would be complete without mentioning Millennials. Matt Anderson, who does video marketing at Google, points out that Millennials are getting older, so their buying power is increasing—which means it will be that much more important for brands to connect with them authentically. However, rather than trying to reach them through books or instruction manuals, Anderson says Millennials want to connect through video. Brands that make a bigger effort to connect more intimately with consumers stand to win. At the Decoded show, Daswani described an app that seemed reminiscent of the bot technology featured in the movie “Her,” where SuBot operates within your devices for extra intimacy.